I’ll admit, I had never heard of Chemanius even in my research for this Vancouver Island trip. 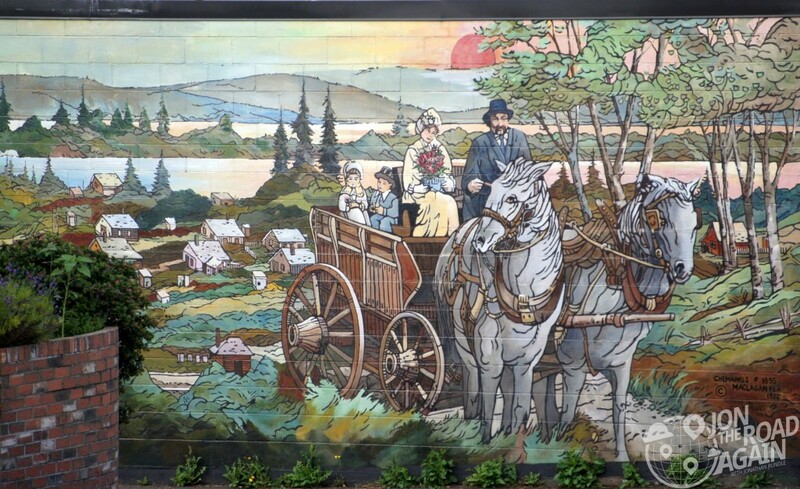 Only once on the road was I informed that this little sawmill town had 44 outdoor public murals. As someone who has some experience painting murals, I was intrigued. In the 1980’s, the Pacific Northwest’s forestry industry hit hard times. 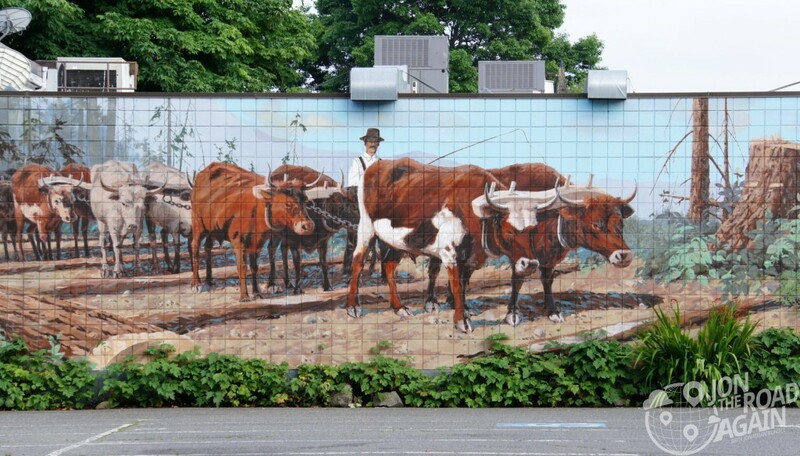 The scrappy little town decided it needed something to jump start it’s ailing economy and they came up with “Mural Town.” Tourists flocked to the little town and it survived. Chemanius sits between the two main cities on Vancouver Island; Nanaimo and Victoria. Like many of those tourists, I came to learn of the town because of extensive billboard advertising on the only route through this part of the country. 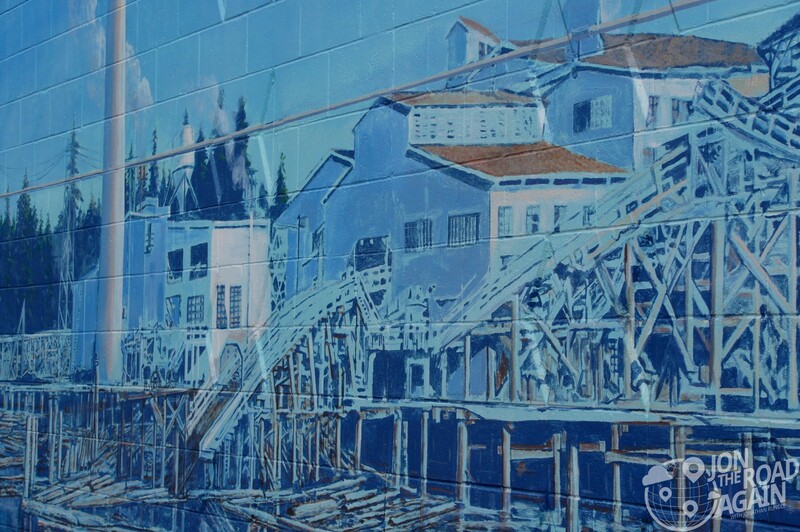 The murals tell the history of the area in vivid color. The murals are old – originally painted in the 80’s – but Chemanius is in the middle of restoring all of them to their former glory. If the original artist is unavailable for the work, a local artist (and chair of the local Festival of Murals Society) Cim MacDonald picks up the brush. Art is a very subjective exercise, so I won’t make any judgement here on which I found to be the most well done. One thing can be appreciated by all, however, and that is the diversity of style. Whatever your reason for being in this part of Vancouver Island, take a detour for lunch or dinner and learn a little about the land you’re experiencing. No need to open a guidebook, just keep your head up as you walk through town.